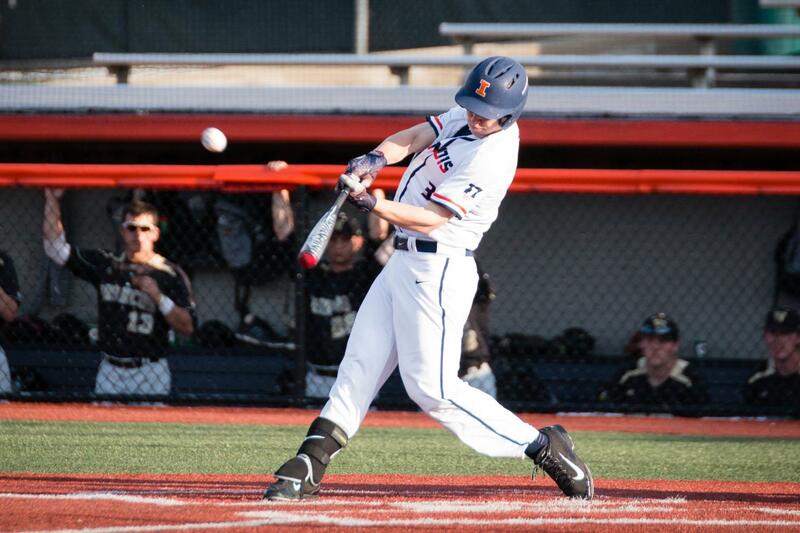 Illinois’ Jack Yalowitz hits a single against Western Michigan at Illinois Field on April 18. 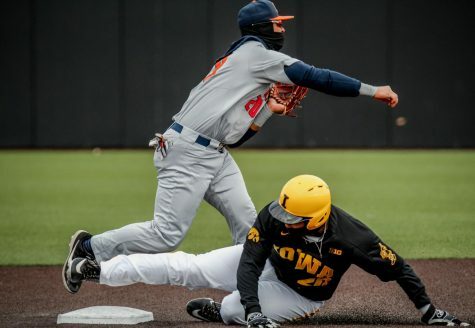 The Illini swept a double-header in their series win against Minnesota. 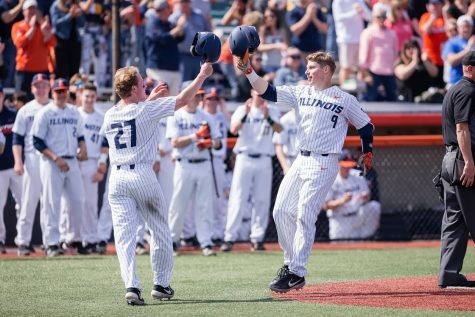 Heading into last weekend, the Illini were looking for their second Big Ten series win of the season. 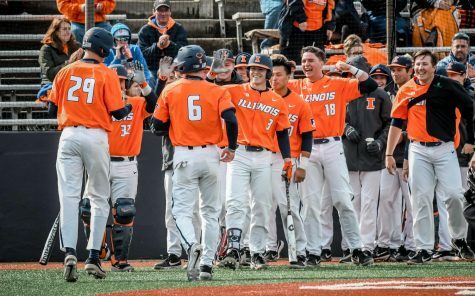 Illinois was 3-10 in conference play entering its three-game set against Minnesota, good for 12th in the Big Ten standings. 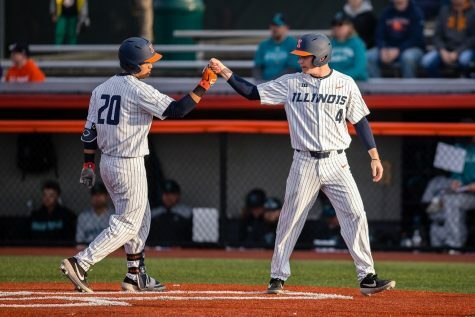 If the season were to end, the Illini would have been out of contention for a spot in the Big Ten tournament, well short of any postseason berth. 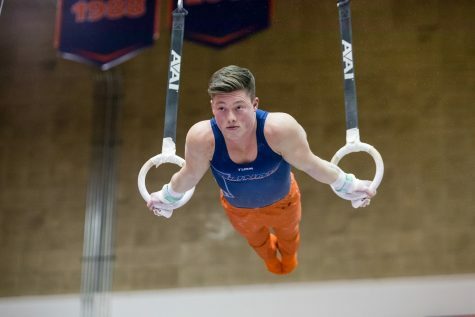 But, after winning two of three games last weekend, Illinois sits two games behind the current eight-seed — Michigan State — with just 10 games remaining in the regular season. Nine of those games are against Big Ten opponents. 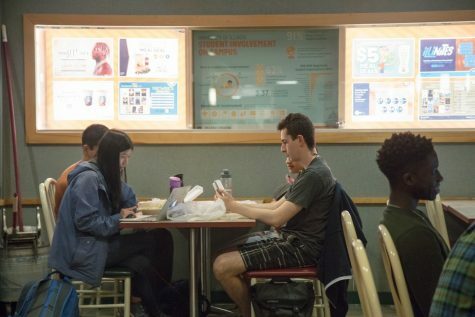 If the Illini win out the rest of their games, they can improve their record to 28-23 on the season, and 14-10 in conference play. Looking at past seasons, a 14-11 record in Big Ten play would not only get them in the tournament, but could potentially lead to as high as a No. 4 seed in the conference tournament. 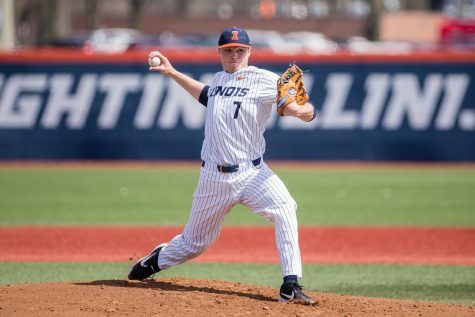 After dropping the series opener Friday, the Illini bounced back during their Saturday doubleheader. Game One of the doubleheader was won in dramatic fashion after the team headed into the ninth inning, down 5-2. 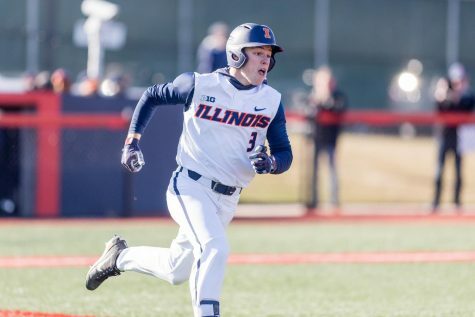 Illinois rallied to score seven runs in the top-half of the inning, taking a 9-5 lead. The rally started with a bases-loaded walk scoring freshman Michael Massey. 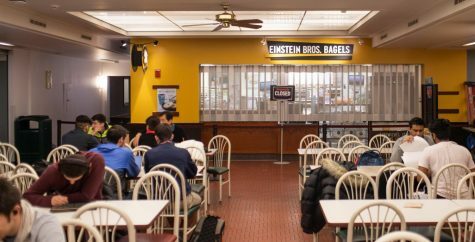 It was followed by a Dan Rowbottom RBI single and a bases-loaded hit-by-pitch from sophomore Doran Turchin. Jack Yalowitz capped off the rally with a grand slam, extending the lead to four. 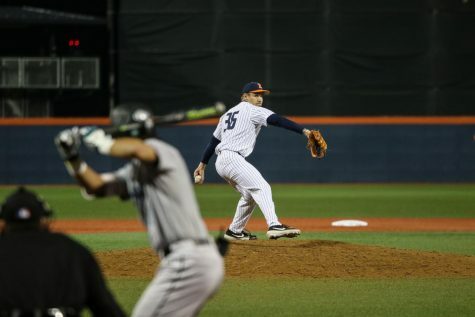 Freshman Ryan Schmitt finished off his 3 1/3 inning scoreless performance, collecting his fourth win of the season. 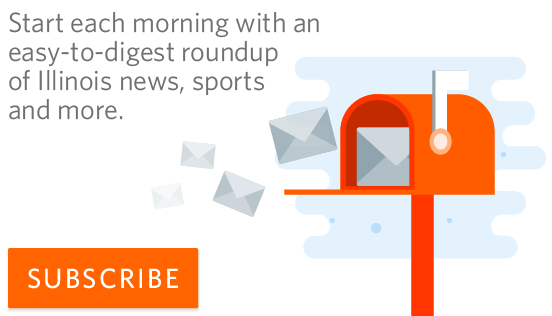 Schmitt’s appearance extended his scoreless inning streak to five. 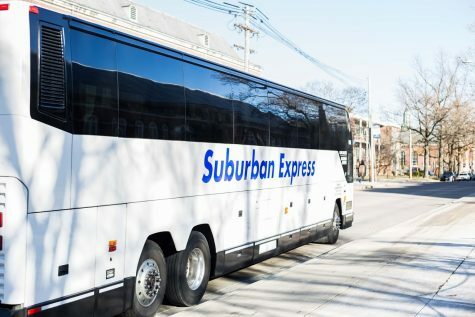 Head coach Dan Hartleb was happy with his team’s performance and said in a press release that he loved their demeanor. 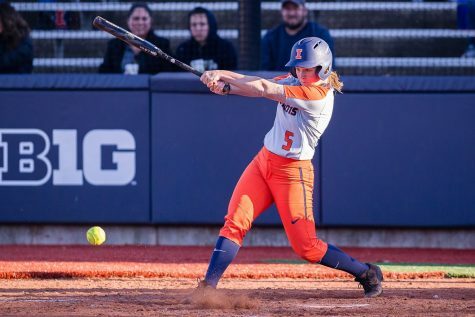 The Illini carried the momentum from their raucous Game One finish, starting off Game Two with back-to-back home runs from Yalowitz and Massey, taking a quick two-run lead. That was all they would get in the first inning, but the team responded by putting up eight runs in the third inning. 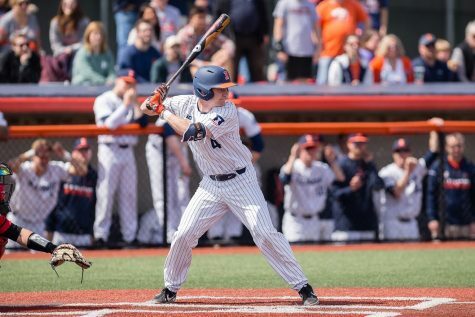 Massey started the rally by picking up his second and third RBIs of the game on a single to center that was followed by a two-run double from freshman Ben Troike and a David Craan groundout RBI. Trent Hammond beat out a double play, allowing Troike to score. Yalowitz followed with his second RBI of the game. Pat McInerney singled to take a 10-0 lead heading into the bottom of the third. The Gophers went on to get one run back in the bottom of the third, but an Illini grand slam from Bren Spillane — the team’s second of the day — in the top of the fifth extended the lead to 13. 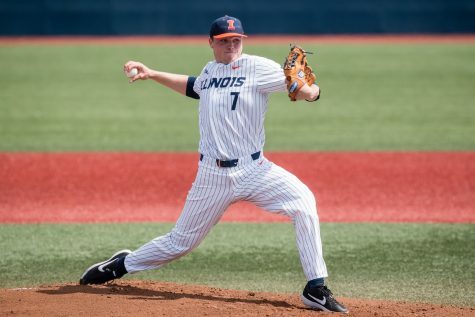 Illinois’ Matthew James collected his second-straight start with one or less earned runs. James threw six innings, allowing five hits and one earned run in his longest outing of the season. The bullpen combination of Ryan Thompson, Zak Devermann and Joey Gerber came in to shut the Gophers down, sealing the series victory. 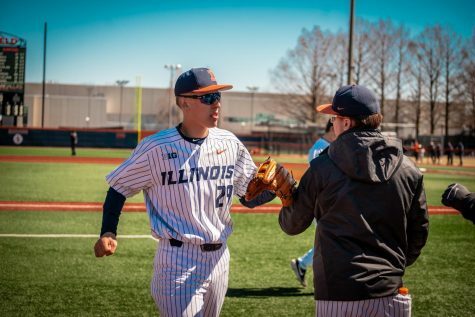 The Illini will be back in action this week with a matchup against Southern Illinois on Tuesday before a big weekend series at home against Maryland.